Meriadoc 'Merry' Brandybuck — A Hobbit and cousin of Frodo, he and Pippin were best friends. Peregrin 'Pippin' Took — A Hobbit and also a cousin of Frodo, he was the youngest of the Fellowship. Although the purpose was fixed by the Council of Elrond, it was not decreed how, in what manner and through which route this could be done; such details were left to the Fellowship's discretion. As a consequence, the Fellowship started with no detailed plan. One option was to go directly to Mount Doom, the other was to ask help from Boromir's father, Denethor II. The way of how to reach the East was a problem. After moving south from Rivendell, they encountered crebain on their arrival in Hollin. Fearing that they were used as spies by Saruman, the Fellowship spent the entire day in hiding, without a campfire. There they found the Orcs who overran Balin's Colony years ago. They also saw Durin's Bane, who devastated Moria in the first place. 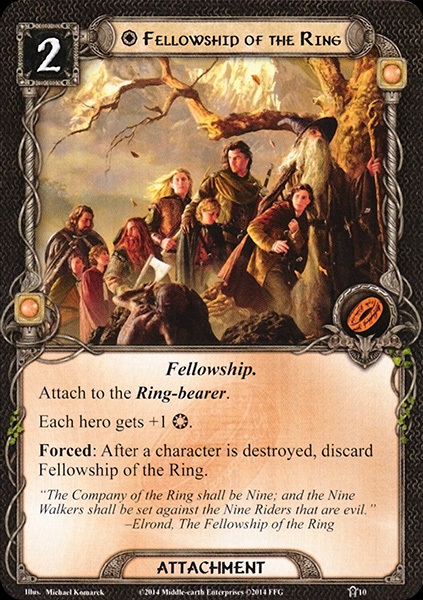 Gandalf to buy them time, destroyed the Bridge of Khazad-dûm and both Maiar fell together into the abyss, while the Company escaped back to the light. Aragorn was appointed the head of the Company, and their next stop was to meet with Galadriel and Celeborn, the elf-lords of Lothlórien. They stayed there for several days, resting and counseling for their plan and route. On their leave, the elves gave them several useful gifts and gave them boats to sail the Anduin. Meanwhile, Saruman who served Sauron, sent a band of Uruk-hai to capture the halfling who bore the Ring and bring him to Isengard. Frodo began to realize not only that someone was following them, but also that the Ring was having a malevolent effect on some members of the party, especially Boromir. It was he who tried to take the ring from him, after the passage through the Argonath. In the process, Frodo put on the ring to escape him, but he was followed by Sam. The rest of the Company was attacked by orcs while trying to find the Ring-bearer. Seeing no other halfling, the Orcs succeeded in capturing Merry and Pippin, killing Boromir who tried to protect them. And so, the Fellowship was broken, but not yet disbanded. Sam followed Frodo down the Emyn Muil having decided to go to Mordor himself. 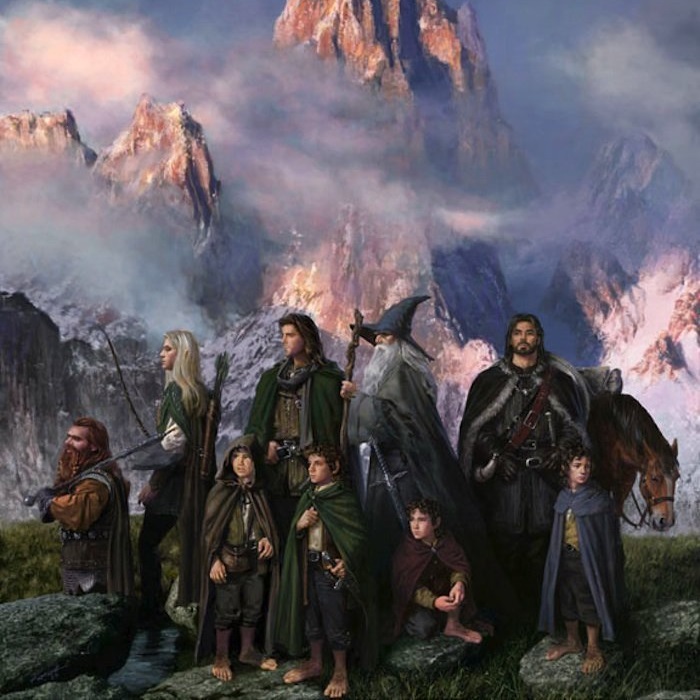 Aragorn with Gimli and Legolas (the 'Three Hunters') decided to follow the Orcs into Rohan and rescue Pippin and Merry. Unknown to them all, Gandalf had resurrected and visited Lothlórien after them.